In addition to telling the story of how Magna Carta became a symbol of liberty, the exhibition explored Magna Carta’s role in American independence, constitutional law, and culture. I especially enjoyed reading about BridgeAnne D’Avignon, a twelve-year-old girl from Bakersfield California. She published a poster that traced the lineage of all the U.S. presidents, with one exception, to a common ancestor – King John of England. Click here to learn which U.S. president was not a descendent of King John. 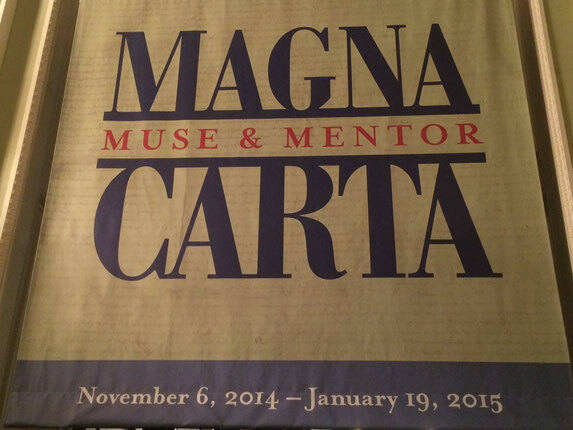 “Magna Carta: Muse and Mentor" will be open through January 19, 2015 in the Library’s Thomas Jefferson Building. 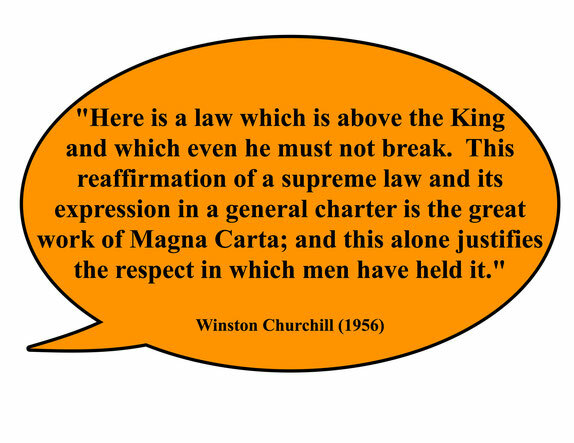 Learn more about the Magna Carta at the online version of the exhibition, where you will find excellent resources for teaching with primary sources such as images, maps, letters, books, etc. Use the Library’s primary source analysis tool to engage students in discussions about government and individual liberties.